With Stone Oak growing more and more over the years, it has become a noticed part of San Antonio. Nearing the hill country and with some fantastic views, Stone Oak is a very popular place for people who want to be out close to the hill country but still near the city. San Antonio Top Limo will provide you with any limousine service you need in the Stone Oak area. 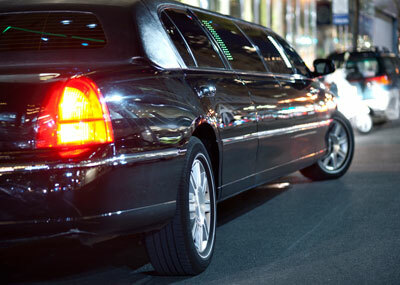 With our range of limo choices, you can find the perfect limo for whatever you plan on doing. Whether it’s weddings, anniversaries, or business, San Antonio Top Limo has the limo for you. With our fleet consisting of sedans, stretched sedans, SUV limos, Hummer limos and party busses, you can pick the perfect ride for your occasion. With our stretched sedans, you will get a sleek luxurious ride wherever you choose, with leather seats, surround sound speaker system, and a wet bar. Holding 8-10 passengers, this limousine is perfect for weddings, anniversaries, and more. Our Escalade SUV limousine can hold 14-16 passengers, has a surround sound speaker system, flat screen TV, and a wet bar. For that bigger group of friends that you want to tag along with you, our SUV limousine is perfect for any event. If you’re planning on bringing along 21 other passengers, our Texas-sized Hummer limousine is perfect. With its massive space, you and 21 others can enjoy the luxurious ride to wherever you want in style. Our Hummer limos are very popular for homecoming and prom events, since they look tough but stylish. ​Planning on a business lunch or a meeting with a potential customer in the Stone Oak area? Our 3-4 passenger Chrysler 300 luxury sedans are perfect for meetings on the move, whether it be out to lunch or the sight of the deal, you’re sure to make a great first impression. Even family dinners are great with our sedans. With our professional chauffeurs at the wheel, you won’t have to worry about driving or trying to find a parking spot. Our chauffeur will drop you off right at the front door of wherever you need to be. Have some extra tickets to a Spurs game and want to arrive in style with your friends? Our limousines are great for sporting events as well. Arrive just like the pros and right at the front entrance so you can get to your seats quick. Our chauffeurs will pick you up anywhere in the Stone Oak area on time and ready to roll on out to see the big game. Don’t worry about having to find the limo on your way out either. Our drivers will pick you up right outside where you were dropped off so you can leave fast before the traffic starts. For any of your Stone Oak limo needs, give San Antonio Top Limo a call. With the best limo service in San Antonio, any event you want to go to can be arranged. Just tell us where to pick you up and where to go, and we can get the good times rollin’.